RavenBeer was first conceived in Luxembourg between founders Stephen Demczuk and the late Wolfgang Stark. Stephen was in Europe doing research in molecular biology and experienced its beer culture that led to his mid-career crisis. He formed the first beer-of-the-month club in Europe, Beer Around the World- importing beer into Luxembourg, boxing it up and shipping it within the EU. One supplier of his beers, Wolfgang Stark of Haus den131 Biere, suggested they should produce a beer in Germany but using an American marketing theme. It took Stephen less than a minute to say yes and to come up with The Raven theme. 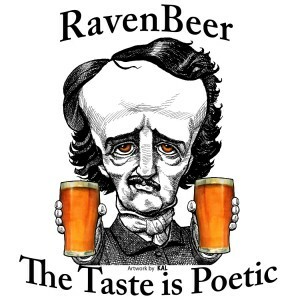 The new company was registered in Baltimore and the new beer was produced in the Black Forest region of Baden-Württemberg, Germany and called, in honor of Baltimore’s Edgar Allan Poe, The Raven Special Lager. RavenBeer now offers Pendulum Pilsner, Tell Tale Heart IPA, The Cask (Doppelbock), Annabel Lee White, Dark Usher: Dark Kolsch and a Grapefruit Tell Tale Heart IPA. In August 2012, RavenBeer formed a brewing partnership called Peabody Heights Brewery and our beers have since been brewed at the Waverly/Charles Village facility. Still brewed in Europe and sold in six states, Washington DC and Chicagoland, we believe that our customers deserve premium ingredients to achieve that authentic European flavor and aroma. RavenBeer is proudly brewed in Baltimore, Maryland.